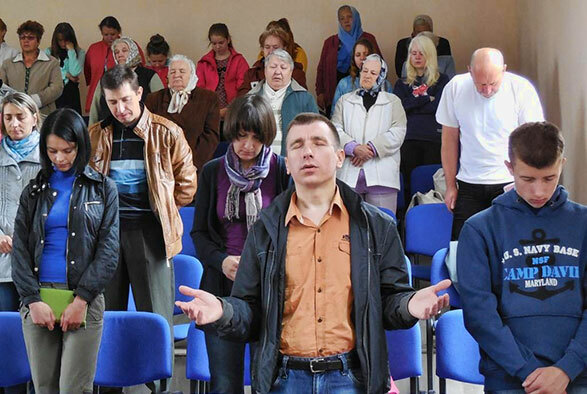 Pray that God will fill the Slavic believers with a hunger for His Word: "Desire the sincere milk of the Word" (1 Peter 2:2), and a spirit of prayer: "Pray without ceasing" (1 Thes. 5:17). Ask God to call many young men and women to serve Him sacrificially in places of leadership. Pray that some will choose to serve in other Slavic countries as missionaries. Intercede for the Christian leadership in Eastern Europe that they will withstand the powers of darkness and remain stable in their spiritual roles. Prayer has been the hardest lesson for the church of the Lord Jesus Christ to learn. Many churches today have much singing and preaching, but very little prayer. The early church knew the secret of prayer, as the leaders emphasized their concentration upon “prayer” and “the ministry of the word” (Acts 6:4). The program of God has always been accomplished through the activity of aggressive and agonizing prayer. The apostles and other servants in the Scriptures displayed persistent activity in prayer, as they worked in the harvest field of souls. “Continue in prayer, and watch in the same with thanksgiving” (Colossians 4:2). The believer’s prayer acquires high value, as one pleads for the future accomplishment of God’s plan for the church and for the world. The habit of prayer helps the believer to be satisfied and successful in the Christian life. The only remedy to keep a country from going deeper into spiritual darkness is for God’s people to turn to the Bible and to prayer. God’s children must band and bond together to intercede earnestly for their nation and for perishing souls. “Pray without ceasing” (1 Thessalonians 5:17). The Christian who is deeply concerned about his church and his country (even the world) must cast himself at the feet of Jesus Christ and plead with Him to exercise necessary control. A season of prayer to seek answers and assurances from the Lord Jesus is mandatory in every area of the believer’s life. “Seek the Lord and His strength; seek His face continually” (1 Chronicles 16:11).Prayer meetings must again be started, or God’s people must start attending these important services. Small study groups must include a specific prayer time when gathering together. Conferences and seminars likewise must include a public time of prayer. 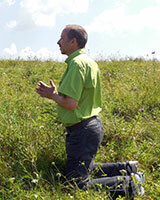 Pray for your local church and the churches of SMS missionaries in Slavic countries. Ask God to increase the spiritual maturity of each member. “With all prayer and petition pray at all times in the Spirit, and with this in view, be on the alert with all perseverance and petition for all the saints” (Ephesians 6:18).Pray for pastors and church leadership that they would earnestly seek the salvation of souls and the sanctification of the saints. Pray that upcoming conferences, seminars and summer camps will strengthen believers and attract those young people and adults that are seeking to know more about Jesus Christ. Lord, help us to be “devoted to prayer” (Romans 12:12).